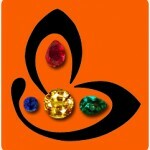 Comments A Yellow Sapphire that looks and sparkles like a Diamond! Yellow Sapphires are categorized as fancy colored sapphires due to the novelty of color and this one lives upto its reputation. Yellow Sapphire or Yellow Diamond? Mind boggling radiating resplendence with a cut so fine its difficult to sayThis opulent and dazzling Ceylon Yellow Sapphire mesmerises you with its magnificence and brilliance! A fully natural and untreated finest golden yellow gem with abundant Jyotish qualities to gain the best of the Sattvik energies of Jupiter and abundance of education, teaching and the dispensation of knowledge that Jupiter bestows! 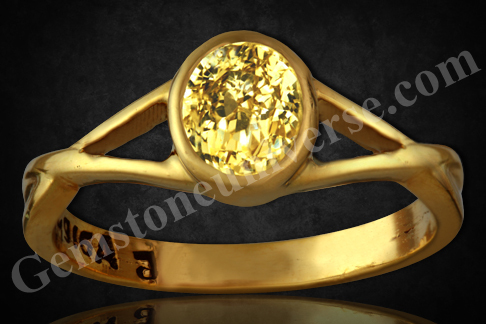 Has made a powerful talisman when set in this 22k Gold ring!Note: The above links generally exist on the website for a period of 40 days after which they are periodically deleted to make way for new gemstones and to enable faster browsing.